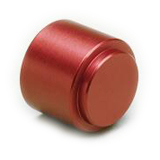 Lightweight 12 ga. Aluminum followers for Remington, Benelli, Mossberg and Browning shotguns. Tough construction holds up to years of competitive and law enforcement shooting and won't wear out even after thousands of rounds, break under spring pressure, or degrade when cleaning solvent is used. Provides controlled carry of four 3", 12 ga. shells for fast, fumble-free reloads. 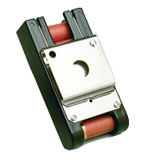 Clips to belt, allows spare rounds to be grasped without fumbling or dropping; reduces reloade times. Spaceers adapt for shorter rounds. 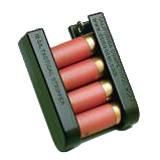 Provides controlled carry of six 3", 12 ga. shells for fast, fumble-free reloads. Clips to belt, allows spare rounds to be grasped without fumbling or dropping; reduces reloade times. Spaceers adapt for shorter rounds.